Using telephone, email, and a set of personalized assignments, Shannon will walk you through a series of adventures of discovery of the soul and self; ultimately leading you to the realization of your highest potential. Coaching deals with functional persons who want to move toward higher function – and achieve excellence while creating an extraordinary life. Coaching is a process similar to solution-focused techniques that therapists use for less serious psycho-emotional problems and life stresses. But coaching goes beyond problem solving and co-creates a life for the client that is purposeful and focused. The coaching paradigm that we teach at the Institute for Life Coach Training treats the whole person, not the dysfunction – and we believe this is the most powerful therapy on earth. When you empower a person and show him what he can do – instead of focusing on what he can’t do (weakness) – you can improve his overall mental health and his life dramatically. 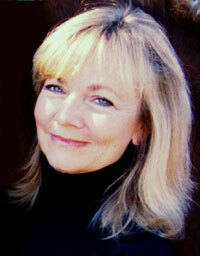 Shannon takes traditional coaching one step further into the transpersonal, spiritual world. Using tools she has developed, such as the “Wellness Wheel,” Shannon focuses on developing a well-rounded person, healthy on all planes -- emotionally, socially, spiritually, and physically. Shannon utilizes astrology, Enneagram and past life regressions to reach the core of her client and help him understand his core experience and to achieve his best self. Email Shannon to arrange for a free introductory session. She will help you explore your goals and work with you to set out a plan to begin achieving your dreams. The cost for one session is $100. A month package of sessions (4) is available for $350 (savings of $50) and a package for six-months is available for $1,800, for a savings of $300. (Shannon normally does not work with anyone for longer than six months, so if a longer commitment is desired, special arrangements need to be made). Get a free session with Shannon. Email to set up. Please include your name and phone number. Purchase one session of coaching with Shannon for $100. I can't believe how much difference I've seen in my life after only two sessions! I'm energized and more effective. Friends have noticed a positive change in me!